Paradise Valley Property Management, Paradise Valley Property Managers, Paradise Valley, AZ Property Management Companies. Boasting of a small town ambiance. Paradise Valley is an affluent community in Maricopa County, Arizona. This town is famous for its thriving restaurant scene and luxury golf course. Because of the many luxury homes, Paradise Valley property management firms have a range of lavish properties available. While it might be a small community in size, it is home to eight, fill-service resorts. 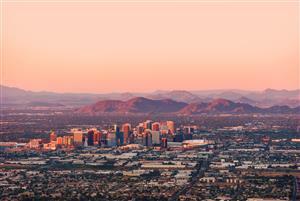 Paradise Valley is bordered by the McDowell Mountains on the east and the Phoenix mountains on the north. The Paradise Valley Golf Course and the Paradise Valley Mall are located to the north of the town. While it is known as an affluent community today, it was originally an agricultural paradise. Once European settlers arrived in the 1880s, they used Paradise valley for cattle grazing. After World War II, new residents began to flood into the area. Today, residents can find destinations like the Camelback Inn, the Scottsdale Plaza Resort, the Sanctuary on Camelback and the Omni Scottsdale Resort & Spa at Montelucia within the town. Paradise Valley is also home to the Paradise Valley Country Club and the Scottsdale Cottonwoods Resort & Suites. The main shopping area in the town is the Paradise Valley Mall. This mall is home to more than 130 stores and restaurants. Some of the most popular shops include Abercrombie & Fitch, Dillard's, Macy's and Express. To experience iconic Southwestern cuisine, residents should visit El Chorro on East Lincoln Drive. For American fare and beautiful views, visit Elements on East McDonald Drive.